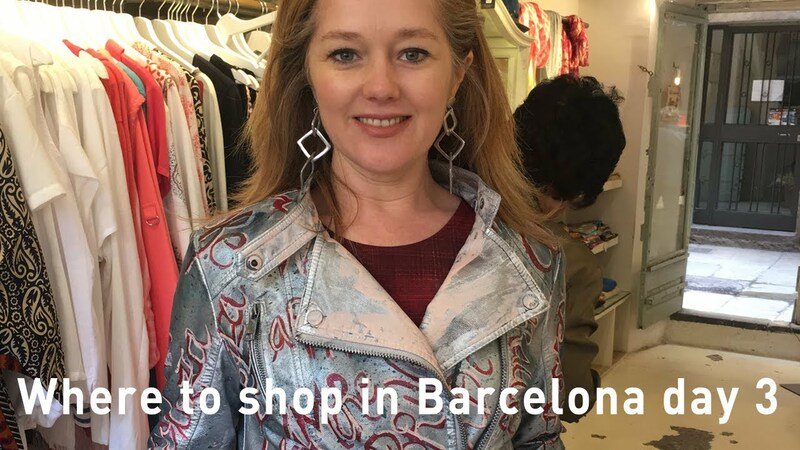 For day 3 of my shopping trip in Barcelona, I go to the El Born district. It's here that I found this divine hand painted leather jacket. Take a look at this video to see the story behind it. For day 3 of my shopping trip in Barcelona, I go to the El Born district. This district is a little more edgy and I'm hoping to find some unusual stores here. I'm standing outside Carma Anglada, one of the many beautiful jewellery stores in this district. Most of the jewellery is made by Spanish designers, so you will find some beautiful and unique pieces. I bought these earrings made of aluminium for only €29. You also get some more specialist stores like Zigna Design where prices vary from €165 - €265. Coll-ars is a gem of a store. It's here that I found a handpainted leather jacket. The store is owned by a Spanish mother and daughter team and the daughter is an artist. She paints words on the jackets in Italian using words such as freedom, patience, love etc. The artist believes that as a woman wears the jackets, they take on those words. They also have handmade scarves and handbags.